The results are out. McKinsey reports that IT is expected to have a more strategic and dominating role in enterprises - and Enterprise Architects are at the forefront of these leaders. Enterprise Architects are rising stars of the IT department. But with this new influence comes a heightened responsibility. Enterprise Architects must raise their skills, visibility, and influence within the organization by leveraging cutting-edge technology and an agile mindset to move the business’s innovation agenda forward. This blogpost will detail the mindset of the modern Enterprise Architect. On top of external tools, modern Enterprise Architects need significant internal tools and traits as well. 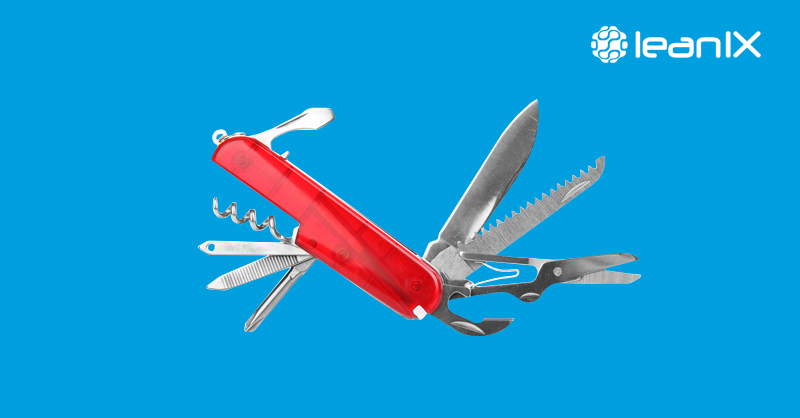 What are internal tools and why would an Enterprise Architect need them? 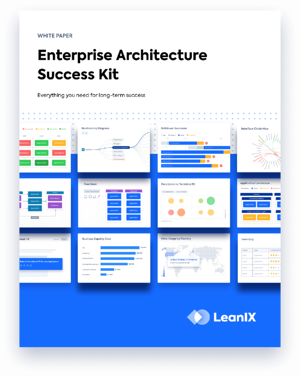 From LeanIX research, we’ve uncovered the top five most important traits that high performing modern Enterprise Architects must possess. This blogpost will also outline how to develop and apply said traits. Long gone are the days of modeling the enterprise from the ivory tower. Modern Enterprise Architects assess which systems or processes are currently working and keep a sharp look-out for the imminent challenges and opportunities ahead. They must quickly grasp, store, structure, and analyze information that could help solve an oncoming problem in the enterprise landscape. From there, forward-thinking Enterprise Architects will propose and investigate possible resolutions, while remaining helpful, accessible, and offering supplemental support until a solution is reached. Modern EAs take the initiative to gain the digital skills required to make a difference in their organizations and find many ways to provide value to the CDO. Tech-savvy Enterprise Architects are more valuable to their organizations. The modern Enterprise Architect must be aware of the availability of industry-relevant APIs, microservices, DevOps practices, emerging database technologies. They also have to exhaustively understand how a proposed service might improve or negatively impact the company. Agility has become a key characteristic of a top performing Enterprise Architect. 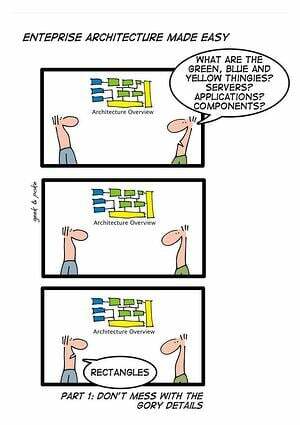 Modern Enterprise Architects know agile development systems like Scrum and Kanban. 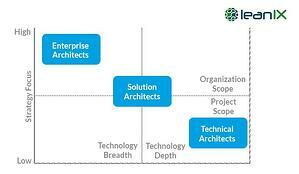 Enterprise Architects use these agile methodologies to speed up software deployment timelines. Once shifted over from the “Ivory Tower” mindset to a project manager mindset, EAs can actively map out systems that foster high project deliverable rates, generate quick results and produce reliable critical business data while respecting all the important requirements like security, data privacy, and compliance. All decisions that modern EAs make must be based on data. Data-driven decisions help leadership make the right investments and ensure the organization is working on the most impactful tasks to improve competitive advantage. Modern EAs are on top of up-to-date analytics, prove hypotheses with data, regularly A/B test the practicality of current systems, and make decisions only from admissible data. Get excited about a new piece of software or service, and sell it to your teams. Evangelistic EAs should pick one important topic that would greatly benefit the company whether it is microservices, DevOps, cloud migration etc., and research, zealously advocating for the particular cause. Learning a new set of skills to become the dynamic leader that IT needs takes dedication and a change of processes. In order to make concrete business decisions, it is important to not accept low quality data. Not all data is useful for business decisions. Real-time relevant metrics are an EA’s best tool. Ask “Is this data still relevant to this particular situation?” before making any subsequent changes that may affect the entire framework. Modern Enterprise Architecture Management tools offer state-of-the-art reports that are automatically adjusted in real time. ask questions like, “Are these tools still relevant?” or “Is this system working?” or “How can I make this system run more smoothly?” to become hyper-aware of what your team needs. Make the needs of your team the top priority. Though we all benefit from direction, teams that can decide which tools they use preform better at continuous delivery. This is in contrast to teams that can use only those tools that are mandated by outside influences. Teams that can choose their own tools are able to make these choices based on how they work, and the tasks they need to perform. Leverage the experiences of innovative vendors that bring demonstrable experience on new topics that you need to drive. Apply scrum or Kanban to a current project that is taking too long to deploy. Do not ask upper management for permission. 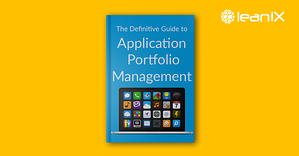 Get started on a product backlog and start delegating tasks today. Enroll in relevant university tech courses to stay abreast of emerging industry standards and apply constructive knowledge to current projects. Time is of the essence. Pick one current project where you can apply these traits and make a measurable difference for your company. 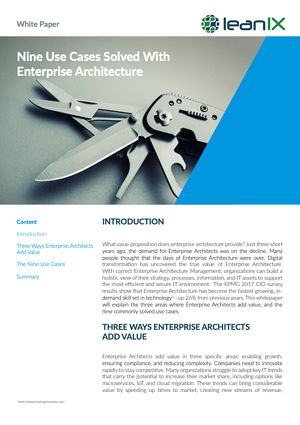 The Enterprise Architect of Tomorrow not only needs modern tools, but an agile mind. A powerful tool set includes the leading communication and facilitation software on the market, effective integration tools, to professional soft-skills and mindset. 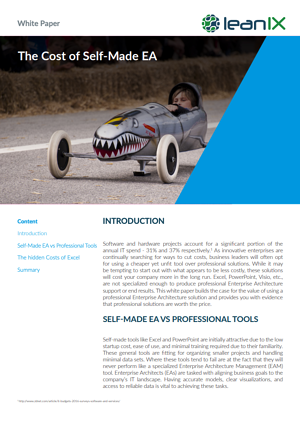 By including these tools and paradigm shift, EAs of the future will be significantly more valuable, increasingly more recognized, sought after, focused on impactful subjects, and provide measurable value for themselves and their companies.